The leader declared his decision to leave office — after weeks of stalling through threats and legal action — was his alone, despite immense pressure from the international community. Troops from five African nations are stationed on the tiny west African nation’s borders in the event Jammeh does not keep his word, and it was thought Conde would stay into Saturday to iron out remaining disagreements. 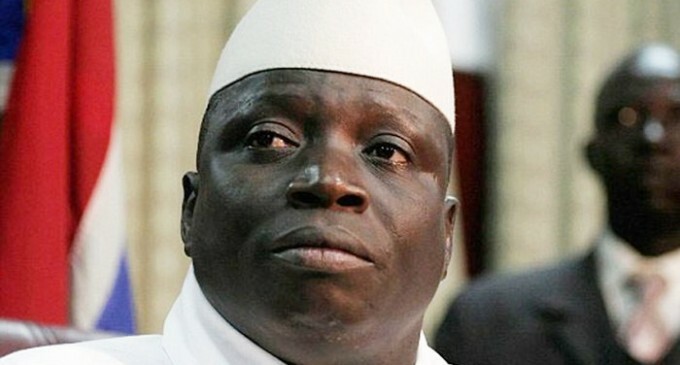 “Jammeh has accepted he will leave power. The discussions revolve around where he will live in exile and the conditions around that,” a Mauritanian source close to the delegation in Banjul told AFP. A highly-placed Guinean source said the country of exile had to be far enough away to stop Jammeh interfering in his country’s affairs. Isatou Touray, a top official in Barrow’s coalition, told AFP there was “no deal yet” late on Friday.